As it can be seen, the latch could be a way for synchronizing highly active data structures. To reduce the overhead that latches could impose over the busy data structures, SQL Server has implemented a spinlock as a different form of the synchronization object. While similar to a latch, there is one important difference – the wait for the spinlock is “active” one as the thread will not leave the running state while waiting, which practically means that spinlocks always occur on the CPU. Spinlocks are used by SQLOS when thread access time, to a commonly accessed data structure, is expected to be very short. 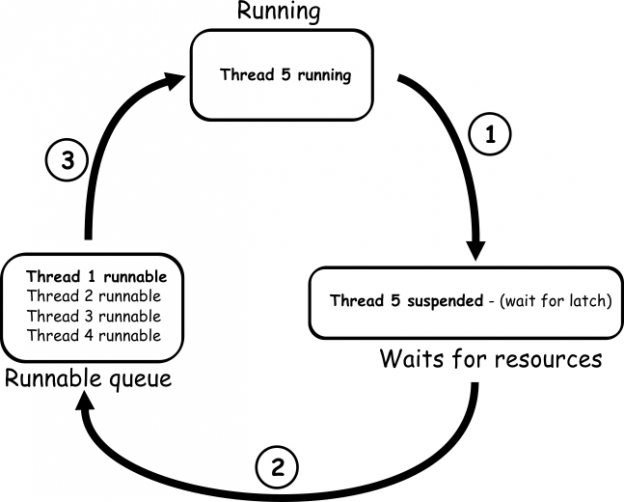 If a thread that tries to acquire a spinlock cannot get the access to a target data structure, it executes periodically while in the running state, in the so-called “spin loops” to check for the resource availability, instead of yielding immediately into a suspend state. Unfortunately, none of these commands are documented by Microsoft. The sqlos.spinlock_backoff extended event can be also used for analysis as this event is raised each time when the backoff happens. The spinlock itself, as a little-documented SQL Server internal, is often overlooked as a potential or real cause of SQL Server performance issues. Not to mention that due to lack of official documentation, it is not easy to diagnose the spinlock as a root cause of SQL Server performance problems. SQL Server uses scalability to maintain the system performance. Good SQL Server scalability means that the system will grow in relatively predictable and stable way with changes of its capacity in terms of resources that will be used. Since the SQL Server spinlock is CPU related, the following example will use CPU as an example of scalability. A situation like this, where a proportional increase of transactions per second is followed by a disproportional increase of the CPU usage % and an excessive increase in spins and possibly backoff events number, is a typical scenario where spinlock contention could be the cause. What happens, in such a situation, is that spinlock is “spinning” too long which takes up CPU and practically wastes the CPU time, as it will not much CPU left for other threads that are executing. It is obvious that SQLOS was not properly predicted the CPU usage by threads and the acquired spinlock spins too long instead of going into a sleep state.